The latest "Historically Speaking" column appeared in the November 26th issue of the Exeter News-Letter. 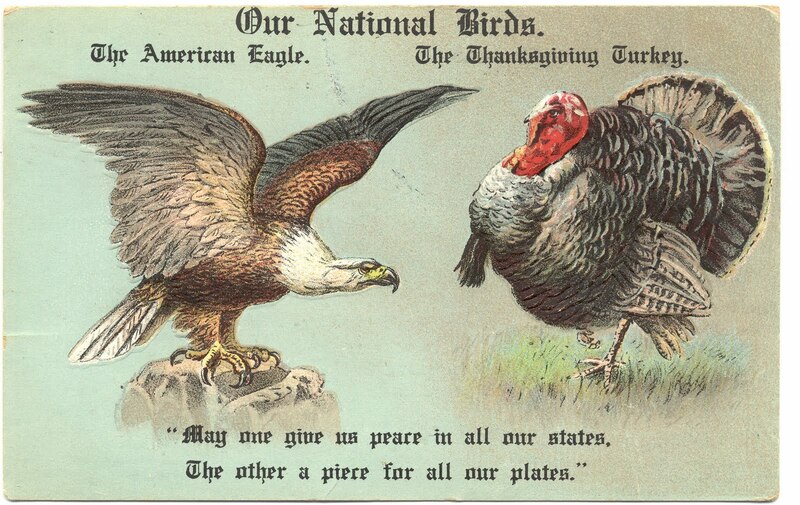 We don’t know when Thanksgiving really got started in Exeter. Generations of Native Americans lived here long before written language began creating a reliable record. There were probably days set aside to acknowledge the bounty of the harvest, and these were most likely joyous. The feast was the task of women. Except for possibly applying a hatchet to the neck of the unfortunate turkey, the menfolk did what they did best in the kitchen – basically nothing. While the women were hard at it for a week in advance, their husbands and sons simply waited until the big day when, to their minds, food fell from the sky onto their plates. This probably explains why it was so difficult to find any accounts about the day in the early editions of the Exeter News-Letter. Aside from cookbooks and a few memoirs written by women, the preparations are wholly unregarded. Elizabeth Leonard dryly commented that after this, or any other feast, the men, “when they had taken a sufficient quantity of wine, paid us with some complimentary toast, spiced according to the number of glasses drunk.” Thanks, honey. Fifty years later, begging night still persisted, although there was some cheating going on. Henry Shute commented, “This custom was regarded rather tolerantly by the good people of Exeter, and was not looked upon strictly as begging by those who regularly indulged in it, but rather as a fascinating game of chance. Indeed it was by no means an uncommon thing for children of the better classes to yield to its fascinations and, evading the vigilance of their maternal guardians, to solicit alms with a persistence that in any good cause would have been most praiseworthy, and a fertility of prevarication that was appalling.” If the tricksters were caught there were harsh penalties to pay. By the twentieth century, begging night was no longer part of the Thanksgiving tradition, having moved to Halloween. Even our current frustration with Thanksgiving travel has a long history. In 1850, when Exeter was still new to the railroad age, the Exeter News-Letter noted, “The 3 o’clock train from New York, over the New York and New Haven Railroad on Wednesday, P.M. was made up of fifty-two cars. A moderate allowance of passengers for each car would give about 3,000 persons to this single train, nearly all of whom, doubtless, were going home to Thanksgiving.” If that doesn’t seem like a lot of people, keep in mind that in 1850 the population of the entire town of Exeter was about 3,000 people. Imagine cramming our whole town on a train nowadays.